Growing up in New York and Pennsylvania, Rick attended the U.S. Naval Academy, graduating with a degree in Oceanography in 1978. Figuring he should put his knowledge of the oceans to some practical use, Rick became a nuclear-trained officer and served aboard the USS Patrick Henry, a nuclear submarine, until 1983. At that point, realizing that a continued career in submarines might let him see the light of day for one of every ten years or so, Rick elected to head off to law school. As he explained to the squadron commodore, "Perry Mason always surprises; L.A. Law is intense; and besides, I love arguing with people!!" With that, Rick headed off to the University of Colorado School of Law, agreeing to his new wife's request to "go anywhere to law school as long as we come back to the Pacific Northwest to practice law." 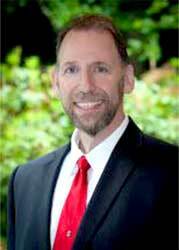 As promised, Rick returned to the Seattle area and began working for a big, downtown law firm. After a number of years, he realized that the politics and the commute were not to his liking. Finding others who agreed, Rick left downtown, and became a founding member and managing director of today's MAGNUSON LOWELL, P.S. Rick is the firm's primary litigator, Rick emphasizes civil litigation, serious personal injury claims, professional negligence, premises liability, insurance disputes, business litigation and more. Rick is an experienced and well-respected practitioner with a distinctive difference. He actively practices on ‘both sides of the table:' plaintiff personal injury and insurance defense. It is this combination of skill, background and perspective that makes Rick uniquely qualified. When not at work, Rick is a devoted family man with three bright kids, and an ever-growing brood of grandkids. When not supporting his children's professional endeavors, Rick enjoys cruising and traveling (especially to Whistler Mountain or their cabin near Leavenworth), screening movies, attending concerts, motorcycle riding, and "hanging" with family and friends.